This year, NEYA was humbled to recognize Joe and Anita Robertson with the Jan R. Cook Community Contribution Award. This is a bestowed special service award designed to honour those entrepreneurs whose dedication, commitment, leadership and philanthropy have had a significant impact on the greater Niagara community. Recipients of this award have served as role models by giving back to the community or local charities. 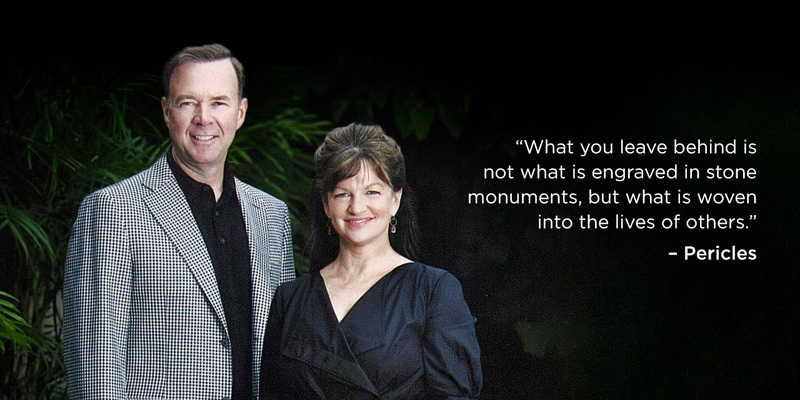 Joe and Anita Robertson lived their lives in a way that had an immeasurable and indelible impact on their family, their friends, their community and their country. Recognizing their good fortune to have sold a successful dental supply business quite early in their careers, the Robertsons chose to dedicate extensive time and effort to volunteer service in their Niagara community. Education was particularly important to both Anita and Joe and they were actively involved with a variety of learning organizations. Anita volunteered with Niagara Nursery School and Child Care Centre and Ridley College. Joe was a member of Brock University’s Board of Directors for over a decade, serving as Chair of the Board of Governors for two years. He also acted as the Chair of the Council of Chairs of Ontario Universities. Joe and Anita served as Co-Chairs to the St. Catharines and District United Way and, in 2017, Anita was recognized as the organization’s Volunteer of the Year. In addition to giving their time and effort, Joe and Anita were generous financial donors to a number of Niagara organizations, including the FirstOntario Performing Arts Centre, the Niagara Health Foundation, the Brock Performing Arts Centre and Bravo Niagara. Joe, Anita and their daughter, Laura’s departure from this world was far too early, but the Robertson family’s legacy of community building will live on for decades to come.